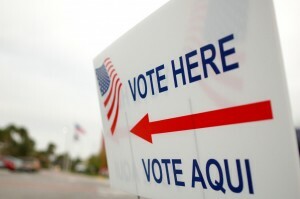 You are at:Home»Federal»Noncitizen Voting: the Biggest Threat to the 2016 Elections? Noncitizen Voting: the Biggest Threat to the 2016 Elections? The problem isn’t limited to illegal aliens, though. At any given time, there are 10-20 million noncitizens lawfully present in the United States with very few safeguards in place to prevent or deter any of them from voting. There is evidence that these foreigners are voting. And in close races around the country, even a small number of fraudulently cast votes can swing an election. Aliens were recently discovered on the rolls in both Virginia and Pennsylvania. What is the government doing about it? Alien voter prosecutions are rare. The U.S. Attorney for the Western District of New York recently charged a Canadian woman with making a false claim to U.S. citizenship in order to vote. The U.S. Immigration and Customs Enforcement website lists a 2011 arrest of an illegal alien charged with voter fraud. And diligent search of the Internet will produce several accounts of state arrests for egregious instances of illegal voting but this is clearly not a prominent issue for state prosecutors. Meanwhile, the federal courts keep striking down voter ID laws, robbing electoral authorities of the most reasonable means for ensuring the integrity of the balloting process. Measures in Kansas, North Carolina, North Dakota, Texas, and Wisconsin have all been nullified on the grounds that they would have a discriminatory impact on minority voters. This argument doesn’t make sense, since the vast majority of adults in America hold some form of photo identification and states with voter ID laws offer qualifying documentation at minimal or no cost. Although dismissed by many as a “witch hunt” or a myth, with the 2016 election fast approaching, the possibility exists that voting by noncitizens could significantly influence the results. And, given the rate at which both the legal and illegal alien populations have been allowed to grow, the United States should be concerned with ensuring that the electoral power of U.S. citizens is not undermined by individuals and entities whose interests may not coincide with those of the American people. 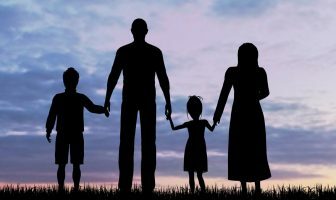 Previous ArticleLifeZette Asks Leading Immigration Experts: Is America’s Immigration System in Decline? Next Article You Can’t Say Illegal Alien! At this point, no one can say for sure what kind of President Trump will be. 1) Between now and January 20, illegal aliens will cross the border in even greater numbers than usual, in order to gain residence in the U.S. before Trump has a chance to implement any measures for Border Security. 2) The upcoming Congressional “Lame Duck” session may be even more pernicious than usual, especially with regards to policies related to Trade (i.e., the Trans-Pacific Partnership) and Immigration. 3) Obama will likely abuse his authority (using Executive Orders and / or Signing Statements) in an even more egregious manner than he has in the past. Obama just made a speech yesterday where he urged non citizens to vote. And again this is more proof of the public and private positions taken by the Clintons. When did he ever inform us of this? Just like we never heard Hillary and her “open borders” comments to Brazilian bankers. These two are for sale to the highest bidder. Always have and always will be. Say one thing in public and wink at their rich donors while accepting huge checks. Here in California, voter registration is done by the “honor system”. Anybody can just check “yes” to the question, “Are you a United States citizen?” It appears that nobody is verifying citizenship. 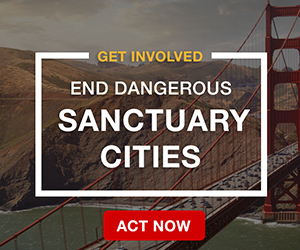 California is overrun with illegals everywhere. They now have driver’s licenses and strut around like they own the place. They work under the table and don’t pay taxes. The females just have lots of anchor babies, all paid for by you and me. The illegals get free healthcare by just showing up at the hospital emergency room, where they can’t be turned away because of EMTALA laws. They have a huge incentive to vote in this election, because they don’t want Trump to win. Our Hispanic Secretary of State Alex Padilla is encouraging them to vote with aggressive voter registration drives. He has made no attempt to eliminate illegal voters from the voter registration rolls, but has made it clear to Hispanics that he will not tolerate any citizens “harassing” them at the voting booths or questioning their right to vote. The state of California is over. We citizens are living in a cesspool of corruption here. The rest of the country will follow if Trump is not elected. New study out about California that right now for every person or family moving to the state and buying a home three homes are being sole and the people moving to another state. Exactly right. Here in MN. we have a huge problem with illegal immigrants, Somali’s are demanding their food stamps be changed so they can buy any kind of food that has to do with their islamic religion. What’s more the outbreak in TB is getting worse and it’s all because of illegal imigrants. After seeing the videos from Project Veritas and noting that many of the refugees and illegal aliens are given the documentation that they would need to get voter ID, it appears that voter fraud could easily involve many thousands of votes across the country for Hillary. If Trump doesn’t have a 3 or 4% edge, he could still lose. It is downright disgusting the corruption in our political system. Voter Fraud, which includes massive voter harvesting, is now and for the recent past been rampant. It is quite easy for someone who studies the issue to conclude that Romney did defeat Obama in 2012, and that many other elections were reversed by voter fraud. I have been active in the Voter Integrity movement for 6 years and the border watch organizations for longer. Voter fraud does exist and has determined past elections. The outcome of this next Presidential election was written years ago. Hilary has a handicap in certain states of up to 10%, which means no Republican candidate for President, Governor, Senator, some Representatives, etc. can possibly win without overcoming this 10% handicap. Trump and certain Senators have a long shot chance in the 4 or 5 battleground states. The “D’s” have hundreds of “Victory” offices in these states since 2000 and staff them with students earning college credits and/or paid indirectly with taxpayer funds. Voting by illegals is but a small component of the overall voter fraud issue. There are other discrete efforts each of which produce other components. The destruction of the 2 party system is the goal and is well underway. Cora, you are wrong as are the MSM and our dear elected leaders. There are today upwards of 50 million illegals now living in America; and, Cora, virtually no voter registrar nor any DMV asks for, or let alone demands, to see any proof of citizenship. A proof of residency such as a utility bill is widely accepted. Anyone willing to post a couple of months cash deposit can have utility service. There are voter integrity organizations in most states…..get involved! If Trump is asked to concede he should say only under two conditions. One is a bipartisan commission to produce a report within a year on non citizens registering and voting. The other is an under oath FBI investigation of the Democratic operative who was recorded saying the Clinton campaign was funneling funds to individuals to disrupt Trump rallies. Let the Democrats and media pitch a fit. Who cares. They don’t like him anyway. I recently made an interstate move to MO AND AT THE DMV I was surprisingly pleased to be told I must present either my birth certificate or a current valid passport before I could obtain a MO driver’s license and/or register to vote! Too bad this isn’t the caase in many other places. CA ISSUES A DRIVER’S LICENSE TO ILLEGALS and once they have a license, they can register to vote based on having a picture id! Why? The “wisdom”.of the CA legislature was that by giving illegals the right to obtain a valid driver’s license would make the freeways safer for all drivers. What a crock of poop! So now during this crutial election we have NON CITIZENS VOTING! This law-&ending has to come to a stop! California is becoming more and more like a Latin American country like Brazil or Argentina, with most of the wealth concentrated at the top, a small middle class, and hordes of low income people on the bottom. This is where the entire country is headed if current trends continue. We will become the Brazil of North America. It’s a really pitiful situation that there are obviously millions of unidentified people living in the US sucking off of the abundance. We are becoming the dumping ground for the overpopulation of the world. It’s only a matter of time before natures cruel solution to overpopulation will be affecting us, as it is devastating many areas of the world. I will be long gone before it could affect me, but your children, grandchildren and beyond will be fighting for resources like water and food. They will not thank us for allowing this to happen. Why are we solely blaming illegals for American mistakes? In practically every state, it is mandatory for people to provide their U.S. Passport, Social Security Number, or Birth Certificate in order to be eligible for a license.Therefore, it would be extremely difficult to obtain a license if one was undocumented. It’s even difficult for an American citizen to get anything done at the DMV. So, even if one displays their license as proof of voting eligibility, it shows that they have had to prove their citizenship at least once. If illegals manage to slip through the cracks in this system, do they really have the full blame? The people who allow them to pass through are just as responsible as those who are undocumented. Moreover, if illegals really do pay people off for fraudulent identification, aren’t Americans the ones who are accepting these alleged bribes? I have a hard time understanding how people could be so blinded by their xenophobia that they can’t see the bigger picture. If you all want to complain about how many illegals are getting to vote in our elections, how about you channel all of this xenophobic outrage into progress for repairing our broken system. After all, it’s our broken system that allows these undocumented people to vote. The second larges cartel operation is one that produces fraudulent documentation. SS cards, birth certificates, green cards. For $200 an illegal can get all of them. They get a drivers license and check they are a US citizen and then they are registered to vote. 1045 of these were found in 8 counties in Virginia. How did they get caught? They forgot to check the box when they renewed their license. In Virginia, a drivers license is good for 10 years, this means these people voted in multiple elections. It happens much more than anyone realizes. Want to bet whether or not any of these people were charged with perjury, I don’t think so! 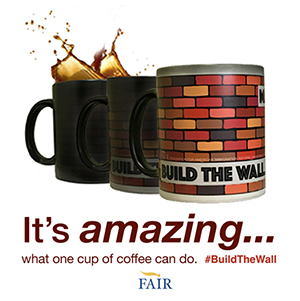 Cora – everyone is NOT mostly blaming illegals. But their voting is shameful. Many states passed Voter ID laws, only to be sued by the Obama Dept. of Justice, even tho the elections in NC where they required voter ID, produced a greater increase in minority voting, over voting by whites! That’s a fact! Obama ignored those facts, and continued suing. Probably because blacks are waking up to the Democrat Plantation treatment they have been receiving. The voting system has become increasingly more and more corrupt. Candidates can’t win on their records, on honesty, principles because others, mean spirited, tell such ugly lies about them. Take Hillary. Her emails have revealed that Clintons took donations (pay for play) from Saudi Arabia and Qatar, the latter a financial supporter of ISIS! That is reason for a charge of Treason. Will the FBI show they have a back bone, or cater to the Democrats? How can the honest American citizen fight that. Congress has done nothing to support it, and depends on money from lobbyists to get re-elected! That’s what most of them want. The few principled ones can’t match the dollars flowing into elections, especially this one! American citizens and other legal residents are fed up with illegals taking jobs from them. Most new jobs in the last decade went to illegals. Blacks have greater unemployment than most. Visit “Judicial Watch”, “True the Vote” and ACRU (American Civil Rights Union), all working hard to clean up elections. “Veritas” risks their lives getting video evidence of all the Voter Fraud. Have you eyes opened! Paranoia…really Vicky….you are do naive misinformed N the most able to think to believe what you read…. Ignore this guy. He’s a troll. He posts multiple nonsense posts. So someone is a troll because they are saying something you don’t like – yeah that sounds about right! He’s not saying anything, just gibberish. That’s all his posts are. He posted the exact same posts further down. Trump supporters are tools. He hasn’t taken office and he’s starting to break promises. He campaigned on a platform of cleaning house in Washington and is already stocking his transition team and potential cabinet selections with political insiders. 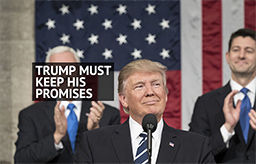 He pledged to eliminate Obamacare and is already saying that he’s prepared to compromise on it. I’m going to enjoy watching you suckers get screwed over for the next four years. Because the people who are going to get hurt the most are exact same uneducated white trash who voted for Trump. That dumb wench ?Why don’t she give them a job instead of determining whats best for everybody else.For a At.Gen. she must have got her degree at the school of educated morons?????? I’ll Try & Make This Brief. I Haven’t Studied It, But I’m Inclined To Believe & Rightfully Should Be-Only “NATURALIZED BORN OR IMMIGRANTS SHOULD BE PERMITTED TO VOTE IN OUR NATION’S ELECTIONS”!!! THEY’RE NOT “AMERICANS”, SO THEY SHOULDN’T HAVE THE RIGHT TO VOTE IN ELECTIONS THAT ARE RESERVED “F O R A M E R I C A N S “!!!!! IF WE WEREN’T “IRISH NATIVES, I’M 99% SURE WE COULDN’T VOTE IN AN IRISH ELECTION”!!!!! THIS IS JUST A “N’OBAMA, HI-LIAR-RY SET-UP TO HELP HER GET MORE VOTES”!!! IT’S A PROVEN FACT THAT “THAT B…H” WILL DO ANYTHING TO BE ELECTED!!!! “HOPE & PRAY SHE’LL GET A SURPRISE TUES. & INSTEAD OF “‘THE WHITE HOUSE IT’LL BE THE BIG HOUSE BEHIND BARS FOR HER”!!! Trump only takes monkeys by storm remember that…. The rantings of “Peter” – characterized by nonsensical statements, obnoxious attitude, and poor grammar – are very reminiscent of those posted in the past by “No Change”. Is that you, “No Change”? I would say that is one very good guess. Kind of if the shoe fits wear it. Watch the polls for flooding of illegals.They will cause so much confusion that the poll workers will be lax on their job,and illegals will steal everyone’s legal vote. This country is already OVER-populated. And this country was founded on secrets, lies and corruption actually. The majority of those were actually freemasons/Illuminati, so do not use that immigrants card. My girlfriend is Filipina, but she is also AGAINST amnesty and illegal immigration. According to Federal and constitutional laws, it is completely ILLEGAL for a non-citizen to vote in the first place. Another new name? When you come here the idea is that you are supposed to obey the law. Do you disagree? Is everyone entitled to their own list of what laws to obey or ignore? Presumably for an orderly society there is one set of rules everyone agrees on and must obey. As noted above, there is simply no reason why a person cannot produce a secure valid photo ID. There are various groups, public and private, that can assist with obtaining ID. The judges who keep striking down the secure ID laws have made it impossible to check on who is voting. And those are exactly the type of judges Hillary will appointment because she doesn’t care as long as she “wins”. She wins but we lose. Also as noted above, there are plenty of verified studies that prove not only are non citizens registered by the thousands but many are voting. There are also studies where dead people are casting votes all over this country, and far more than the occasional one or two. The 2000 election was decided by a little over 500 votes in FL. And the media is doing their usual con job on this issue. They ignore all the many many studies done. Instead they trot out some “spokesman” to declare non citizens voting is as rare as snow in July. And then some “fact checking” site uses the same spokespeople to declare Trump guilty of some “conspiracy” theory when in fact he’s telling the truth. He gets condemned when his supporters chant “CNN s##ks” but they slipped debate questions to Hillary. Leland so anybody that opposes your ideas u don’t approve what can amazing American u r a real assessment to this country…ready this N see your own personal failure as a citizen…..
We are talking “ILLEGAL IMMIGRANTS” not legal ones . There is a big difference, unless you are a Democrat . The Democrats need these foreigners who have entered our nation illegally to vote for them . I guess you don1t realize that voter fraud is real . Even ACORN is still alive, but under different names . If you want your kids and grand kids freedoms to be trashed by the actions of Hillary, Soros and the One World Government group known as the Bilderberg group, than vote for Hillary . If you want, your descendants to be free, than vote for Trump . Hillary is using the race card and back to claiming that make America great again is code for white supremacy. As she well knows, Bill Clinton used the phrase many times in 1992, saying specifically “I believe we can make America great again.” Lying Hillary strikes again. The slogan “Make America Great Again” is based in reality. Over the last few decades we have gone from being the world’s largest creditor nation with the world’s largest trade surpluses to being the world’s largest debtor nation with the world’s largest trade deficits. The only reason we are still able to maintain our delusions of being “The world’s only superpower” is by borrowing trillions of dollars, which at some point in the future we no longer will be able to do. Theoretically, if we continue to borrow trillions to maintain the status quo at some point interest payments on the debt will consume the entire federal budget, but of course a crisis will be reached before that point.